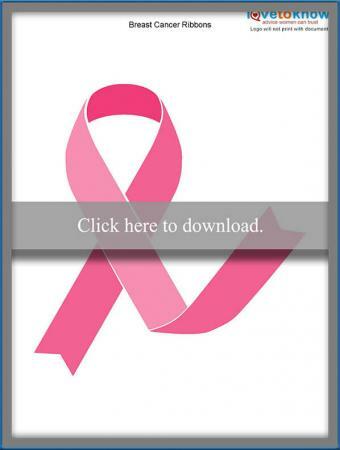 Printable pink breast cancer ribbons make great multipurpose decorations for personal use or at charity events. From invitations to wall decor and scrapbooks, these five ribbons are useful for every breast cancer patient and survivor. This two-page document features one large pink ribbon with shading and a folded end to make it look more realistic and three-dimensional. If you need smaller ribbons, there is a simple option or a heart-shaped one to choose from. Those who plan to print the images out on pink paper or use them in an interactive craft can choose from a standard, small white ribbon, or one with a folded end. Use the handy printables guide to help you download and print the pages, then make copies or cut them out to use. Click on the image to get started then choose the download icon. 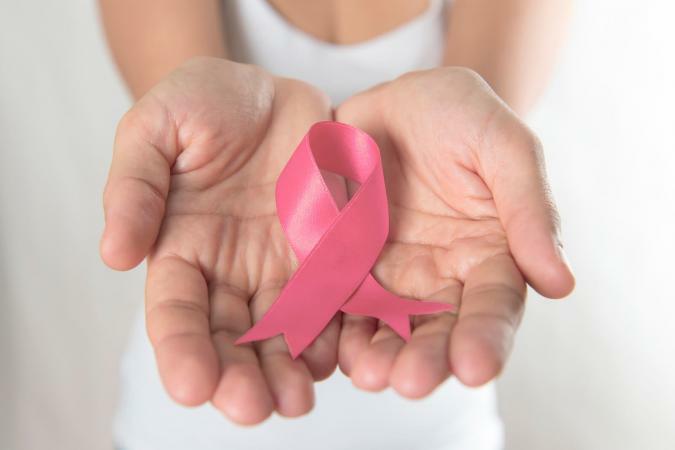 If you need quick decorations for a project or activity related to breast cancer, simply print a few copies of the ribbon pages; then, cut out each ribbon and glue or tape them onto the surface you're decorating. For more detailed and creative uses, try getting creative with out-of-the-box ideas. Cut out one image to use as a template for creating custom apparel or merchandise like a t-shirt or reusable bag. Trace the ribbon onto your apparel then paint over the outline with puffy paint. Another way to personalize clothing is to use the template to cut ribbons out of pink fabrics and sew them onto the merchandise. Print and cut the blank ribbons and allow conference guests time to color and add their name to a paper ribbon for use as a nametag hanging from a lanyard. Make a ribbon banner by poking two holes in the top of each cutout ribbon then stringing some pink yarn through the holes of each one. Customize a scrapbook for yourself or a breast cancer survivor by turning the ribbons into frames for pictures. Cut out one ribbon then carefully cut out the top inner circle and place over the top of a photo. The heart-shaped ribbon image works best for this project. Using images of pink breast cancer ribbons adds meaning to any occasion. Show your support for those fighting this disease by displaying the symbolic ribbon.